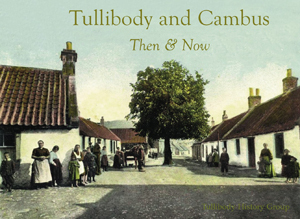 Compiled by a local community group, Tullibody and Cambus Then & Now in full colour dramatically reflects the changes wrought by the County Architect following the Second World War. Old cottages and Victorian buildings were swept away. Realignment of roads and the building of new houses on farmland made for more change. Industrial premises like the tannery have gone too and these formerly self-contained villages are now principally dormitories for commuters. These two country villages have seen a lot of change!